1533. Michelle Marie MARCELO was born on Nov 17 1969 in Quezon City. She is also known as Chelle. She was educated AB-CAM in De La Salle University. She was a Maitre'D for Norweigian Cruise Lines and has settled down in the Philippines. 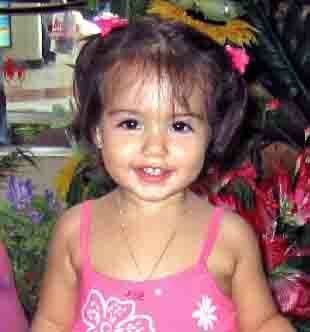 1847 i. Ciara Alessandra RUSSENGER was born on Feb 16 2005 in Asian Hospital in Muntinlupa City.